SKYWARN Severe Weather Pogram - Sat., Jan. 25, 2014 from 9 a.m. to 4 p.m. at Fort Worth's South Hills H.S. Severe weather is inevitable in Texas. Can you recognize the clues that suggest large hail, flash flooding, or a tornado? Do you want to become part of the severe weather warning system in your county? As part of its area-wide weather preparedness campaign, the National Weather Service Office in Fort Worth will answer these and many other questions at the SKYWARN severe weather program on Saturday, January 25th, from 9:00 AM to 4:00 PM. The program will be held at Fort Worth South Hills High School in Fort Worth and is held in partnership with City of Fort Worth Office of Emergency Management. KXAS-TV, Channel 5 is the broadcast sponsor for this event. The 2014 program will discuss thunderstorm formation, ingredients, and features associated with severe storms. The presentation will also review tornado formation and behavior, and will give some insight as to why some storms produce tornadoes and some do not. Additionally, we will discuss non-threatening clues which may be mistaken for significant features. Most importantly, we will discuss what you can do to keep you and others safe when thunderstorms threaten. The program will also discuss spotter operations and recommended reporting procedures. The two hour presentation will be in multimedia format, featuring numerous new pictures of storms, as well as new video from the 2013 severe storm season. "Once again, we have plenty of new material for the training session," said Mark Fox, Warning Coordination Meteorologist at the Fort Worth National Weather Service Office. "We will be showing the 2013 storms in detail, highlighting the subtle, yet important features." The fundamental purpose of the spotter training - and of the storm spotter network as a whole - remains unchanged. "Weather Radar is a great tool, but it only tells part of a storm's story. Spotter observations are fundamental to the protection of life," said Tom Bradshaw, Meteorologist-in-Charge of the Fort Worth Office. "The combination of spotter reports and radar data gives us the best possible picture of the storms and what’s going on inside them." The program is free and open to the public. No advanced registration is necessary. "By coming to this program, you will learn a lot about thunderstorms" Fox said. "Even if you don’t become an active storm spotter, you will learn about how storms work and the visual clues you can identify when storms are in your area. This will better prepare yourself and your family for the threats that storms pose." 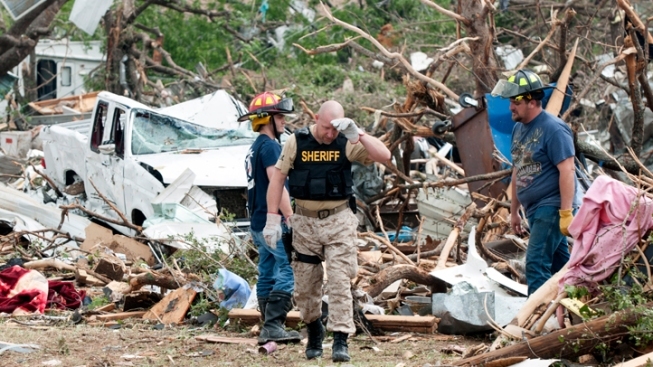 The Tarrant County severe weather program is one of over 60 training sessions that the Fort Worth NWS Office will conduct between January and March 2014. The National Weather Service in Fort Worth provides forecasts, warnings, and weather services for 46 counties in north and north-central Texas. For more information on severe weather, visit our website at http://www.weather.gov/fortworth, on Facebook: http://www.facebook.com/US.NationalWeatherService.FortWorth.gov and on Twitter: @NWSFortWorth.